Adjustable Tilt Student Desk with Storage - 42" x 24"
The award-winning ActivPanel is the premium interactive display for immersive learning, providing a tablet-like experience at the front of the classroom. Innovative InGlass™ technology delivers the industry’s most natural writing experience for teachers and students to collaborate with ease. 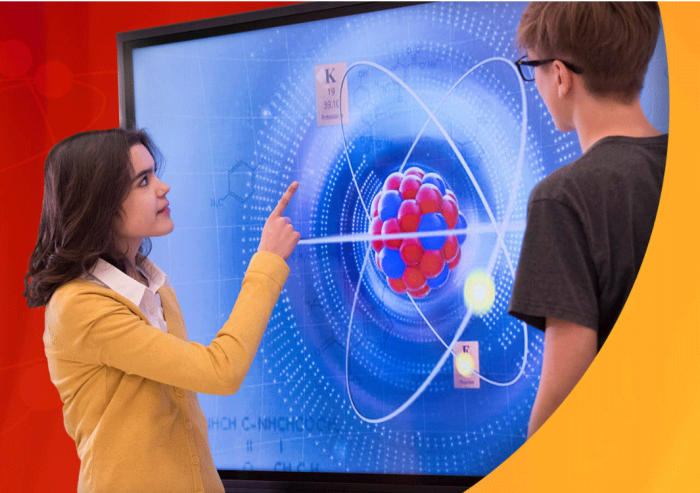 Providing highly-accurate touch detection, ActivPanel’s InGlass technology creates a smooth pen-on-paper writing performance with no script-lag, enabling teachers and students to collaborate with ease. InGlass automatically detects differences between pen, touch, and palm erase, allowing teachers to teach efficiently without switching between software tools. 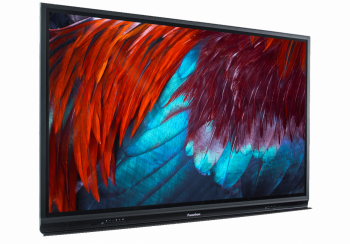 The ActivPanel and ActivPanel i-Series are designed specifically for K-12 classrooms. The innovative InGlass technology provides a smooth pen-on-paper writing performance enabling teachers and students to collaborate with ease. InGlass automatically detects differences between pen, touch, and palm erase allowing teachers to teach efficiently without switching between software tools. Connect to the ever-expanding world of educational apps directly from the home screen. Easily mirror mobile devices to share content, or connect Bluetooth® devices such as musical keyboards, digital lab sensors, and robots to support lessons. 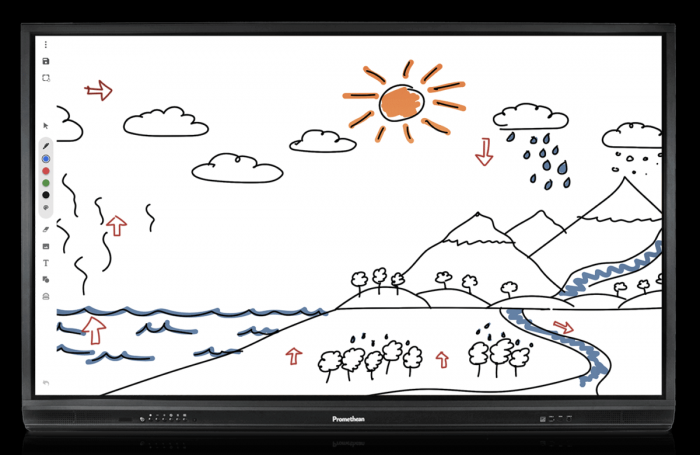 Deliver interactive, multimedia lessons offline or online using your choice of Promethean’s educational software products. Both ClassFlow™ and ActivInspire™ software are free and come as standard with the ActivPanel. To learn more, visit PrometheanWorld.com/Software. The Android™ module's accessible design makes it easy to manage and is also compatible with third-party device management software (Google™ G Suite, VMware AirWatch® and Radix™ Viso). The Windows Module is an OPS unit that is available as an optional purchase and provides an all-in-one, large-format Windows experience. 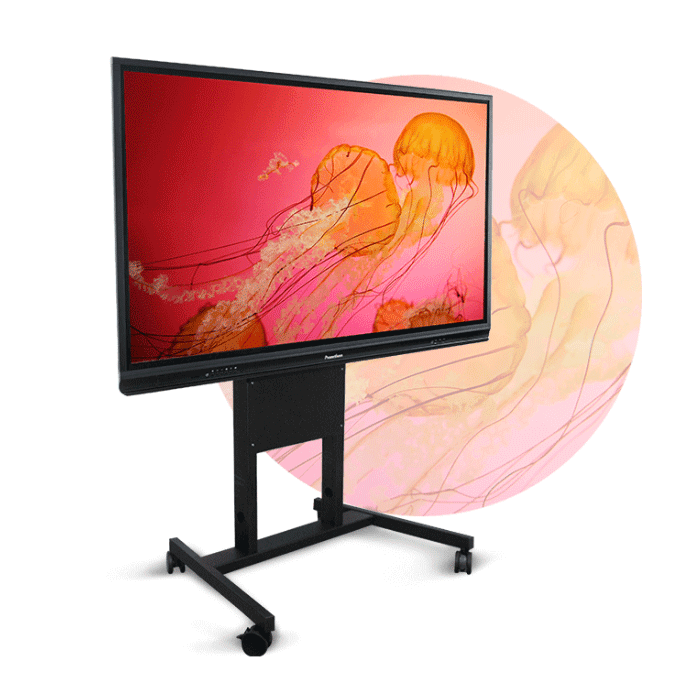 Create the best solution for the classroom with the ActivPanel Stands*, including a fixed wall mount (included with purchase), height-adjustable wall mount, height-adjustable mobile stand, and non-adjustable mobile stand. Our upgradeable computing solutions combined with a three-year warranty and a range of options, including on-site support ensures an excellent return on investment for years to come. Stunning displays with built-in light adjuster for ideal viewing. The Android™ Module is included with purchase and provides tablet-like functionality. Accessible ports include HDMI, VGA, USB, OPS, and more. Dual, front-facing stereo speakers included. Wirelessly mirror smartphones, Chromebooks™, tablets, and laptops to share content, ideas, and student work. Access the vast, ever-expanding world of educational apps directly from the home screen. Use musical keyboards, digital lab sensors, robots, and more to support lessons and engage students. The upgradeable Android Module enables schools to keep pace with changing computing technology. Centrally manage and streamline software updates with compatible 3rd-party device management software, including Google™ G Suite, VMware AirWatch®, and Radix™ Viso. Have peace of mind with a three-year warranty and a range of options, including on-site support. 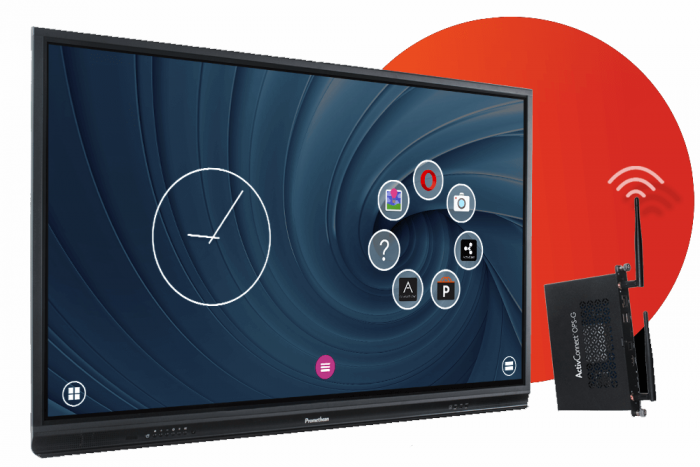 The ActivConnect OPS-G creates a captivating, tablet-like experience in the classroom, putting the digital world at teachers' and students' fingertips. Easily mirror mobile devices to share content or connect Bluetooth devices, and access an ever-expanding world of educational apps. Classroom technologies for immersive learning.